There are many costs to families and communities after gun injuries and deaths. The obvious, of course, is the cost registered in grief after losing a loved one or a friend to a bullet. It is like a pebble thrown into a pond as it works outward into concentric circles of water becoming wider as they work outwards. First, it affects the immediate family. Then the friends of the family and the friends of the friends. The community is affected as well as it comes to grip with a tragic and senseless death in its' midst. The medical costs are obvious but often ignored. For example, here is an article about the recovery of Congresswoman Gabrielle Giffords. One can only guess what 5+ months of hospitalization and therapy has cost. The costs continue and will likely continue for her lifetime. I'm sure that Representative Giffords has had the very best treatment because of her position. Gun injuries, like other kinds of traumatic injuries, are very costly to our entire health insurance system. Taxpayers and health care consumers help to pay those costs. That is one reason it is a good idea to work to prevent such injuries. Automobile accident injuries, for example, have been reduced because of mandatory seat belts and air bags and safer designs of cars. That is one reason those safety features have been mandated. Car and health insurance costs have become prohibitive to the insurers and the consumers. It just makes common sense that we, as a country, would want to lower those costs. This article about a visit made by Gabrielle Giffords to Tucson to see some familiar sights and meet with her staff is encouraging. Representative Giffords' recovery will be long and hopefully good. It's hard to tell how things will go. Usually, someone with a brain injury like that suffered by Giffords has spontaneous recovery up to a year after the injury. After that, progress is much slower and less significant. One can assume that Giffords is getting the very best in rehab services that can be found. As a Speech Pathologist I understand how some of her recovery will or will not happen. Her health care is covered by a very good health care plan offered to U.S. Congress members- a plan better than that offered to most Americans. Her rehab will be very expensive but she will be unlikely to go bankrupt as a result. She has already also benefited from some care as well through her husband's military health care plan- another bonus for her. Let's check out some of the real costs, then, to the country and to individuals for gunshot injuries. This video from the Violence Policy Center tells us that the cost is more than $6 million a day(2010 figure). Wow! I don't know about you, but I think that's a lot of money. These costs are only for the injuries. They do not include the cost of dealing with those who die from their injuries. 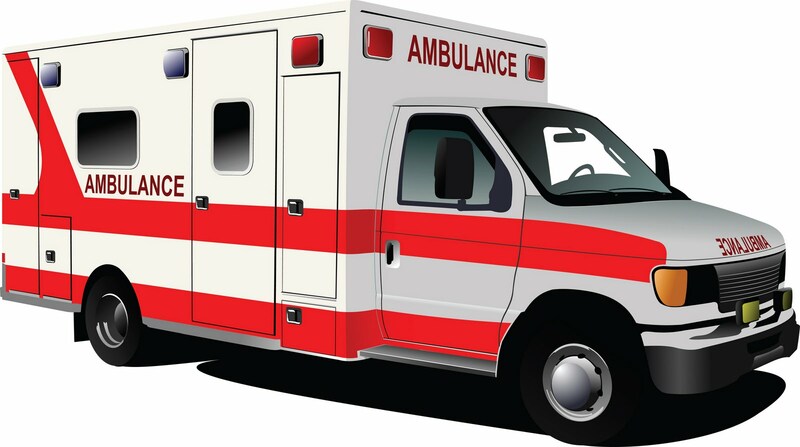 An ambulance may be called, usually law enforcement is involved, and then, of course, the cost of funerals for the dead. After that are the court costs for trials and then, the cost of incarcerating the shooter, if that is the end result. And finally, there is often a cost to families for grief counseling and the after affects of dealing with the death of a loved one. Sometimes families break up or lose jobs, or have to quit jobs to take care of a child or a spouse. I recently re-connected with a friend who lived near us when our kids were very young. She has re-married a man who lost his wife to cancer at the same time as her husband died of cancer. They now live in another state where I happened to be visiting relatives. While visiting with them, her husband told me the story of his son, a police officer, who lost his life to gunshot wounds as he was involved in a drug bust of a suspect in his town. His son, in his early 30s, left 2 small children behind. This man's pain was still on the surface after only a few years of grieving for the loss of one of his 2 children. He spoke about the trouble the police in his town went to to find he and his wife so they could tell them about the shooting. They were not at home and the police could not reach them immediately. He spoke of the difficulty explaining the death of their grandson to his own parents and then calling his daughter to tell her that her only sibling had been shot to death. He then talked about the funeral- the pomp and the ceremony of a police officer funeral- all costs financially and emotionally. A year later, there was a trial which brought the pain all back again and the emotional costs once again. The pain never goes away. The financial costs, in this case, have subsided. My friend's husband and his family have set up a scholarship in his son's name to benefit police officers and children of police officers who want to attend college or further training. Families often set up memorials so the name of their loved one can live on. This is a good thing but every year when an event happens or the memorial is visited or the scholarship is awarded, the victim's memory is evoked. One of the most lasting memorials to a victim of gun violence who happens to have survived his injuries is the Brady Law and the Brady Campaign to prevent gun violence to honor Jim Brady. This article compares Representative Giffords' recovery with that of Jim Brady 30 years after his shooting injuries. The costs for his care must be staggering. He has daily cares and still has some therapy. He is no longer employed, of course, and hasn't been since he was shot. His son was 2 years old when he was shot and his wife, Sarah, was needed to act as two parents to her young child while also dealing with the trauma of the shooting of her husband and his physical care. And yet, they endure and work hard towards a future where fewer people will suffer what they have suffered. That is a noble cause and one that I share. It's all about common sense. It's all about the victims. It's all about prevention. It's all about doing the right thing. It's all about getting Americans to demand sensible gun legislation and common sense about the gun issue. It's all about asking our leaders to stand up and be bold. Japete, are you proposing something specifically by bringing up these cost figures? Some people will say that legitimate gun owners should be required to pick up these costs in the form of taxes and fees- is that the direction you are heading with this topic? To put the VPC’s numbers into context, $2 Billion a year is 1/50th the cost that the CDC estimates for smoking. I am sure fatty foods are orders of magnitude higher as well. I know, I know, you are here to talk about guns- other people can work on smoking and healthy eating. All I am trying to do is put the numbers into context if we are going to look at it as a public health issue. As you know, TS, the focus of my blog is gun violence and not smoking. I will stick to that effort and try to lower the incidence of gun deaths and shootings. Your first question is not even worth answering. "Here is another example of the continued emotional costs to senseless shootings... http://www.startribune.com/local/west/124427454.html?page=2&c=y"
Too bad the victim didn't have the means to protect herself. Yes, Ben. I have blogged about this one. It was very brutal. But, of course, there is no way to know whether the women could have defended themselves as you guys always imagine will happen. The element of surprise is common in these kinds of homicides- probably in most homicides by gun. I have blogged and commented about this many times before so won't repeat myself.